This architectural masterpiece and historic vaudeville movie theatre was built in 1926 and is also known as the “Jewel of Joliet”. 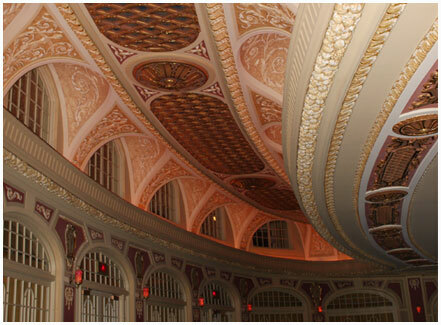 It is considered to be one of the most beautiful theaters in the Nation and was originally conceived to be a “Palace for the People.” During the 1980’s this theatre was restored to its original splendor. The Rialto is a must see!